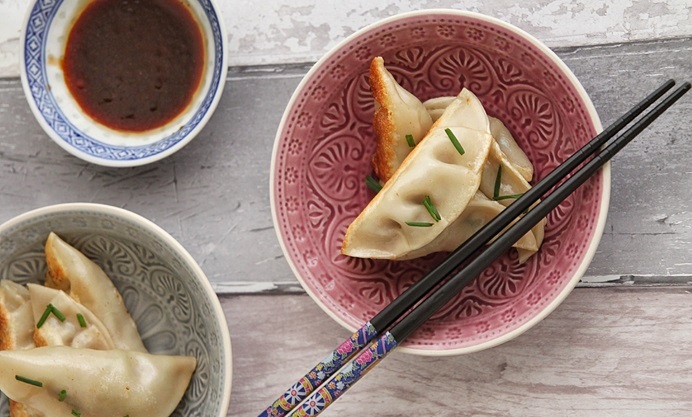 Try your hand at these delicious pork and chive dumplings for your Chinese New Year celebrations. Experiment with ingredients and dipping sauces as you please to create a wonderful dim sum masterpiece. Chinese food is an absolute favourite in our household and truth be told, we can have it every other day without any complaint. That said, I hardly ever make Chinese food at home, not because it's difficult, but because it's a taste I struggle to recreate at home. Except for dumplings, which I absolutely love experimenting with. You can fill them with anything you want and what's even better is that you can freeze them until that dumpling craving hits you. 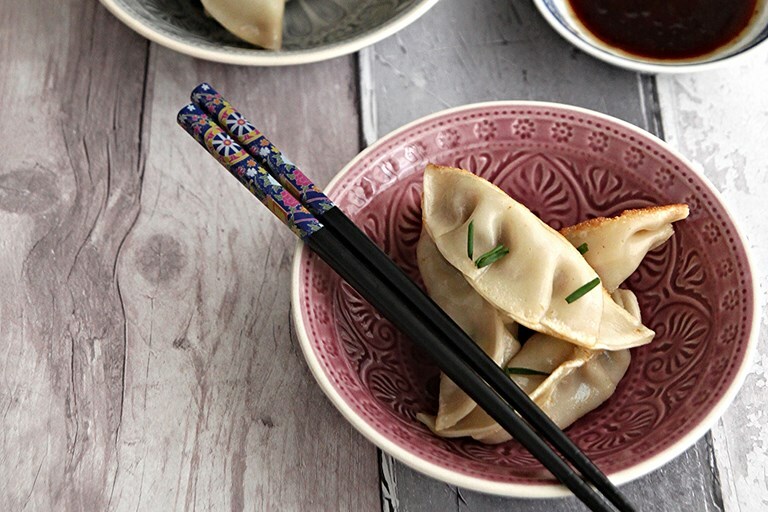 Making dumplings these days is so achievable with all the different types of wrappers available in the market. I have tried both the frozen wrappers as well as the ones listed below, and I've realised that there's not much of a difference. So if you do get put off by that extra step, by all means go for the store-bought wrappers. They work just fine. I have also experimented with various fillings, and although the pork and chive filling is my favourite, the prawn filling is a close second. A vegetarian filling would also taste fab. The dipping sauce is also quite versatile. My husband loves to dip the dumplings in some soy sauce, whereas I prefer a bit of the chilli kick. If you do have chilli oil, use that instead of the sesame oil and omit the chilli sauce. Enjoy!